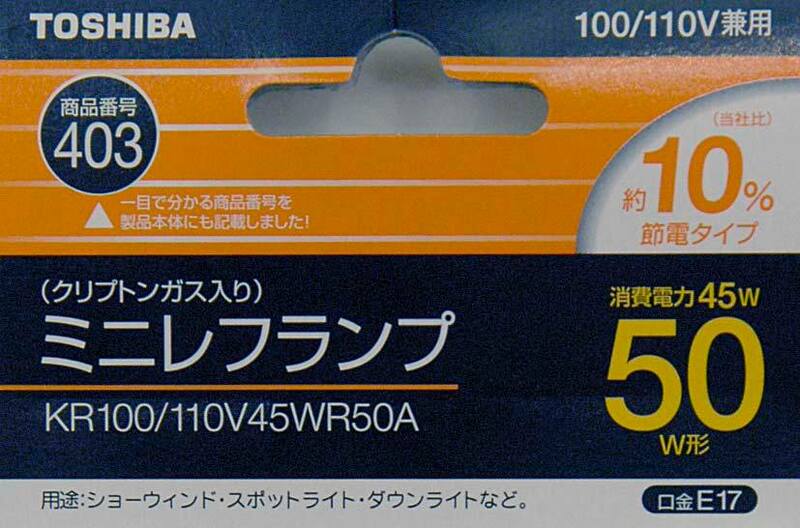 Shopping for a particular kind of 50W lightbulb, I found what I needed in the package shown here. At first glance I see that it's a 50W type, and that it saves about 10% on energy. Cool. To be clear, there's nothing here about “the same light output as a traditional 50-watt bulb” or anything like that. It's simply a lower-wattage bulb with a high-wattage number printed in the largest type. This type of deception is probably as common here as in The States. I first noticed it here long ago, in a grocery store with a beverage carton that looked like an orange-juice carton, had a picture of an orange on it, and had ORANGE 100 written on it in huge letters. One could be forgiven for thinking that it was 100% orange juice, and this would have been very nice because at the time, orange juice was extremely expensive (having only recently been legal to sell in the first place) due to protectionist government regulations that gave very strong preference to tangerine juice, which can be grown/produced in Japan. In reality, as the small print revealed, it had only some small percentage of orange juice, but did have 100% of the recommended daily dose of some vitamin or other. That's where the “100” came from. It was clear that it was purposefully misleading to make a quick sale. But my favorite “serving size” was not offensive in a hidden calorie sort of way – it was just the most bizarre. Vlasic dill pickle spears have a 5 calorie serving size of “3/4 spear” ¾ spear? That’s just weird. I mean, even rounding up, one full spear would have 7 calories – a negligible difference, and be much more reasonable as a “serving”. I certainly agree with the problematic nature of deceptive advertising, I think in the case of the lightbulb, they may of made the less egregious mistake of simply confusing packaging. The amount of light generated by a lightbulb isn’t measured in Watts (W), but in Lumens (lm)– a measurement of the power of a lightsource. Because most incandescent bulbs are all inefficient at near the same rate, usually manufactures just slap on the wattage on the side. But a compact fluorescent light of 13 watts can produce the same amount of light as a 60 watt incandescent. 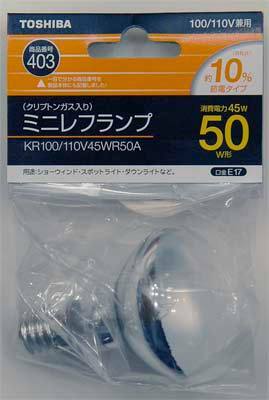 I’m guessing what the packaging meant is, this bulb produces the same amount of light as a 50W bulb while only consuming 45W of power. Of course, this doesn’t hold a candle (pun intended) to CFLs and other efficient technologies, but it is still an improvement. The real thing that matters when buying bulbs is the luminous efficiency, or the amount of light it makes per watt of power used. Shawn, I doubt it’s the “same amount of light as a 50W bulb”, which is why I said “there’s nothing here about “the same light output as a traditional 50-watt bulb” or anything like that.” They do make those kind of claims about the CFLs, so the clear lack of them on this bulb’s packaging seems telling. Marcina, that made me laugh. Consumer Reports (in the US) publishes listings of deceptive advertisings on its back page each issue. October’s issue has a good “Cinnamon Burst” ad that’s somewhat relevant here.